Fly to West Palm Beach with Bolt Jets, the premium private aviation service in the USA. We can charter a private jet to and from West Palm Beach from anywhere in the world, always providing a first class experience. Bolt Jets is the leading private charter hire firm and with good reason. All of our flights are luxuriously comfortable yet surprisingly affordable. We have access to over 1,200 private jets so there’s something suitable for every journey. 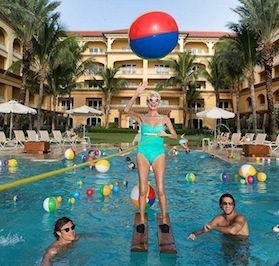 Whether it’s a corporate business meeting in West Palm Beach, a leisure weekend shopping and sunbathing or perhaps a bachelor party, there’s nothing we can’t organize. Our private charter flight service guarantees excellence, from start to finish and that’s why we are used again and again by our clients. It’s time to try the best in private aviation, get to West Palm Beach with Bolt Jets, a truly stylish mode of travel. Imagine – no more sitting in uncomfortable traffic for hours on end, no long airport queues, just smooth, quality flying with Bolt Jets. We get all our clients to their destinations on time and in comfort. 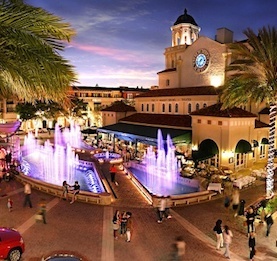 Home to some of the most stylish Floridians and certainly an affluent area, West Palm Beach is a truly magical place. See some of the finest Floridian houses, stunning architecture and spotlessly clean palm-tree clad streets as well as a wealth of culture. There’s the Norton Museum, of Art and the Kravis Center for the Performing Arts, these are just a couple of the highlights in the area. The views from the Intracoastal road are sensational and with almost 365 days of constant sunshine, it’s the best place to be. There’s plenty of excellent shopping to enjoy too, with the very best in designer names, a busy nightlife and lots of great places to eat. West Palm Beach isn’t the type of place to stop off for a few hours, it’s better to take some real time out to savor all it has to offer. Take children to McCarthy’s Wildlife Sanctuary which is home to over 170 animals such as panthers, lions, tigers and lemurs, it’s the perfect place for those who love animals. Get really close-up to the animals, there’s even opportunity to interact with some species, such as holding baby alligators and stroking the pythons! Historic Clematis Street downtown is where visitors will find a plethora of bars, restaurants and boutiques. Make sure to go on Thursday nights because there’s free live music between 6 and 9.00pm. For entertainment, see what’s on offer at the Kravis Center for the Performing Arts which has four venues including an outdoor theater. Choose from gospel, classical, jazz and dance performances as well as outdoor concerts and musicals. The Norton Museum of Art was founded by businessman Ralph H Norton and started by housing his own private art collection. Nowadays, it has over 7,000 pieces of art from around the world with three particularly notable exhibitions, European, American and Chinese art. There’s also photography and contemporary art. See pieces by Monet, Picasso and Gaugin to name a few of the famous artists on show. For outdoor activities head to Okeeheelee Park which has several trails suitable for walking, running or biking. There’s also more than 90 acres of woods and wetlands to explore. Try out fishing, golf, volleyball or a game of tennis. 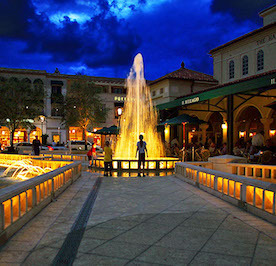 A buzzing nightlife can be experienced at City Place which is where to go for evening entertainment. As well as lots of shopping at night time, there are plenty of restaurants and the best cheesecake in town can be enjoyed at The Cheesecake Factory. Finally, golfers simply adore West Palm Beach as there are more than 160 courses to try and 40 public greens. This is the place to really get involved with this sport and some of the courses overlook the Atlantic Ocean, a magnificent backdrop. Many golfers make West Palm Beach their destination of choice when it comes to this enjoyable game – try it out, it’s addictive. Eating out in West Palm Beach is always a pleasurable experience and with so many different restaurants to choose from, there’s something to suit every palate. From casual, lunchtime eateries to fine dining and everything in between too! Try Grato on South Dixie Highway for the best pizza. Everything is freshly made in wood burning ovens and other delights on the menu include pasta, salad and grilled items. La Sirena is well-known for its fine Italian dining and everything on the menu is imaginative and freshly prepared. It has a wine award for its extensive wine list. Perfect for an elegant meal for two. Try Kitchen for classic food which is updated seasonally. This is one of those restaurants that needs to be booked in advance but it can also accommodate larger numbers in a private dining room so it’s excellent for corporate events. For delicious tasting juicy steaks, head to Okeechobee Steakhouse which serves the best cuts of meats in the area. Coupled with superb customer service and sumptuous side dishes, it’s a restaurant that really stands out from the crowd. The newest on the block, Avocado Grill is already creating quite a storm in the area. Serving Eggs Benedict, home-made guacamole, crab avocado, shrimp and grits among other exciting menu items it’s one of those places that’s just perfect for brunch or a light meal. The Queen of Sheba was the best new restaurant of the 2015 Critic’s Choice Award and continues to wow locals and tourists. Famed for its Ethiopian fayre, enjoy stewed dishes, freshly prepared vegetables, injera bread and other superb delicacies. Finally, no visit to West Palm Beach is complete without eating at Pistache on Clematis Street. This French bistro is warm, sophisticated and yet entirely friendly. Perfect for cocktails and dinner or an a la carte lunch, its food is renowned for being absolutely delicious! Speak to our dedicated concierges team to arrange for dinning options from your choice of any West Palm Beach restaurant during your charter flight out of West Palm Beach. Our clients trust the team at Bolt Jets to provide a premium quality private charter service to West Palm Beach and we won’t be beaten by the competition. We guarantee a superb experience from beginning to end, with a dedicated concierge service, there’s nothing we can’t do to ensure excellence.We provide a top class private charter flight service to London with the ultimate in-flight experience. Our mission is to tailor only the best journey for all our Bolt Jets clients. With exemplary customer service and unrivalled comfort we don’t believe that there is any competition and that’s why our clients only choose to fly Bolt Jets. Planning a corporate trip to West Palm Beach? Flying to West Palm Beach on business is always a pleasure when using Bolt Jets. Our concierge team are available to organize any aspect of corporate travel. They have extensive knowledge of the West Palm Beach area and can organize onward bound journeys, private transfers, advise on the top hotels in the area and so much more. Using Bolt Jets for business ensures comfortable travel and arrival in a timely manner. That’s why we are the leaders in private aviation for business purposes. There are different airport options when chartering private jets to West Palm Beach.